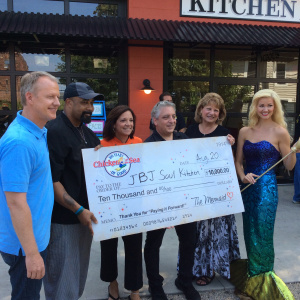 On August 20, 2014, representative from Chicken of the Sea (including the young lady dressed as a mermaid) presented Shaping Red Bank partner JBJ Soul Kitchen with a check for $10,000 for the work they have done in the community. The Soul Kitchen has been providing healthy food choices training/cooking for students at Red Bank High School and the Community YMCA camp participants. This presentation was aired on the PIX 11 Morning News. More information about the JBJ Soul Kitchen can be found at: http://www.jbjsoulkitchen.org/en . The Red Bank Mayors Wellness Campaign can be found at: http://www.redbanknj.org/ . The JBJ Soul Foundation Soul Kitchen Community Restaurant provided a healthy meal demonstration and tasting class for student from the Red Bank Regional High School on July 15, 2014. As one of our public health partners, the Soul Kitchen is providing healthy food choices to the community. The Shaping Red Bank grant is helping to fund four of these programs this Summer. The JBJ Soul Kitchen is located on 207 Monmouth Street, Red Bank, NJ 07701 (http://www.jbjsoulkitchen.org/en). Their vision at Soul Kitchen is to serve healthy, delicious, and when possible, organic meals. At Soul Kitchen you will notice there are no prices on the menu and you might have been seated with someone you don’t know. Customers pay the minimum donation or volunteer in some way to earn a dining certificate for a meal. They say at the Soul Kitchen that “Hope is Delicious”. Now that is what I call fantastic soul food! The Red Bank Mayors Wellness Challenge also started its “Employee Wellness Campaign” program on Wednesday, April 23rd at the Red Bank Municipal Building. Red Bank Mayor Pasquale Menna in partnership with the Community Y and Meridian Healthcare System teamed up to encourage employees to live healthier lives. Blood pressure screening, other health screenings and pedometers were provided. We are getting fit for the Summer. For more information, please contact D. Henry at dhenry@mcrhc.org or Red Bank’s website at http://www.redbank.org/ . The Red Bank Mayors Wellness Challenge started its “Fitness in the Park” program on Wednesday, April 23rd, from 6:00 pm until 7:00pm at the Riverside Garden Park. This was the first MWC scheduled this year by Red Bank Mayor Pasquale Menna in partnership with the Community Y. Although the temperatures were cool and a steady wind was blowing, five dedicated residents came out to participate in the yoga class. The classes are taught by a registered yoga instructor who kept the class very active and engaged. “Fitness in the Park” is held every Wednesday, with the last session being held on Sunday, October 12th. Come out and join us. For more information, please contact D. Henry at dhenry@mcrhc.org or Red Bank’s website at http://www.redbank.org/ . We had an exciting meeting with the Red Bank Mayors Wellness Challenge on March 13th. Many ideas were shared and explored during the meeting. 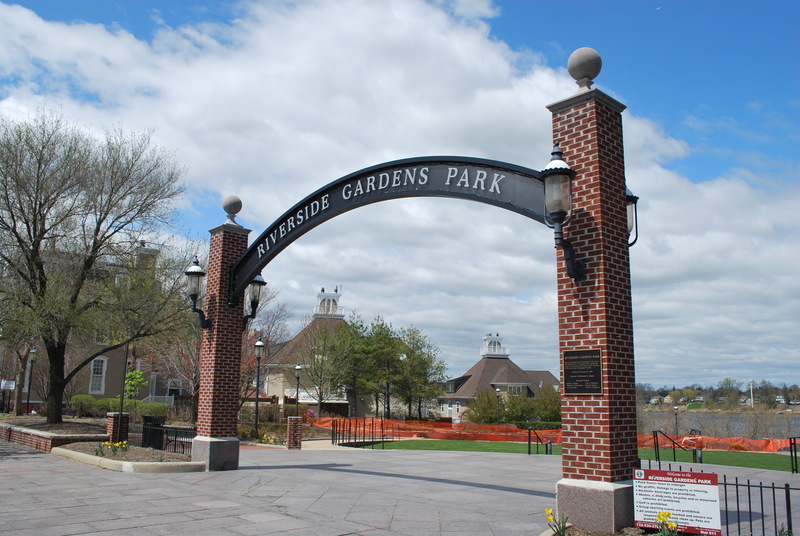 The Mayors Wellness Challenge is planning Fitness in the Park program on Wednesday, April 23rd, from 6:00 pm until 7:00pm at the Riverside Garden Park. This will be the first MWC scheduled this year by Red Bank Mayor Pasquale Menna. We discussed the Shaping Red Bank project and talked about coordination with the Recreation Department. 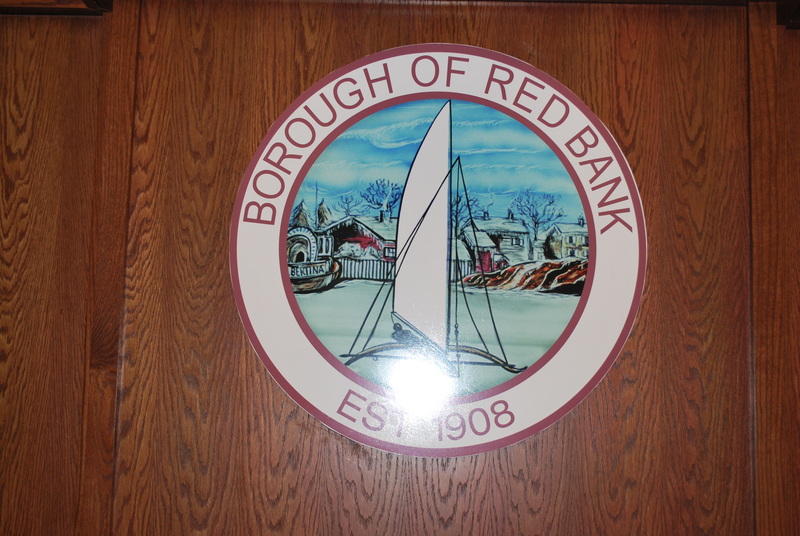 We will be reaching out to the Red Bank Engineering Department to discuss enhancing their maps of the area parks. A variety of fitness programs that are offered by the Red Bank Recreation Department are a perfect fit for the Mayors Wellness Challenge. We discussed a jazzercise/line dancing component as an idea for the Spring/Summer concert series. At a concert at Great Adventure, last Summer, the concert host had the DJ play 10 minutes of line dancing so that concert participants could get some exercise before the concert began. Pilgrim Baptist Church is working on a fitness program for their congregation. The goal is to get members to live healthier, active lives. We are planning for a Health Fair this Spring and are looking forward to more activities involving the Recreation Department and one of the area churches. Taking it to the street with the “Wilday Ride”! Shaping NJ is the state’s nutrition, physical activity and obesity program, focusing on environmental and policy change to reduce obesity and chronic disease.